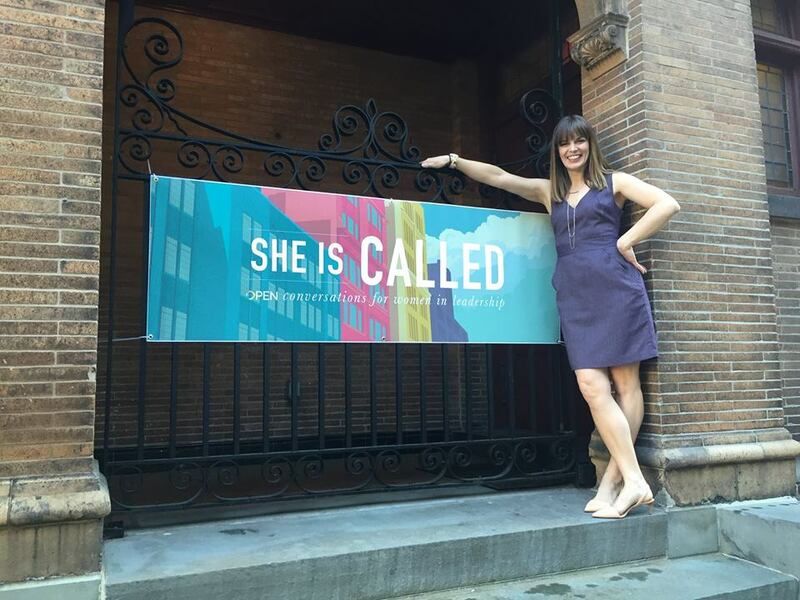 Last week I attended the She Is Called conference in New York City. For three days female church leaders from across the nation met for inspiration and conversation. I led one discussion and gave the closing keynote address. Truth be told, with my decades of privilege and little understanding of the challenges these women face, I wasn’t sure I belonged at the conference. I had much to learn, but I was not so sure I had much to contribute. On the first day, pastors of well-known mainline Protestant churches in New York and Chicago spoke of their ministries. Those sessions were followed by several conversations about issues unique to women in ministry, like unequal pay and juggling the responsibilities of work and home. The experiences of these women were very different from my experience in ministry. I was painfully aware of my privilege. I was actually a little relieved when a reporter from the New York Times arrived to interview me about a story the Times is doing this summer. I am the recipient of decades of entitlement. These women had received decades of subtle and not so subtle messages that they would have to labor twice as hard for half as much. They talked of working while parenting in ways that were unknown to me. I thought I was an involved father. I realized I had parented like most fathers, focused more on providing for my family than truly sharing parenting responsibilities. I did juggle parenting and ministry, but juggling two apples is not very challenging. These women were juggling five or six apples, with a couple of sharp-edged knives thrown in for good measure. The She Is Called conference did have a few things in common with similar male retreats. The attendees were powerful people who were serving in influential churches. They had great theological knowledge and excellent practical ministry skills. But that is where the similarities ended. In their keynote speeches these women did not tell, they showed. They did not give instructions; they provided suggestions. Their ample confidence was tempered by a matching humility. Lectures were punctuated with opportunities for audience input. There was little to no posturing, but there was a lot of supportive collaboration. There is no way a well-educated successful American male can understand how much the world is tilted in his favor. It is all he has ever known and all he ever will know. A woman’s knowledge is always questioned. When I spoke as a male, people listened and followed my lead. When Paula speaks, people listen, but question whether or not I really have a grasp of my subject. Not only is it maddening, it eventually causes me to doubt my own knowledge. There is a reason God came to earth as a man. Men needed more help than women. We can only speak from our experience, and I wanted to find ways in which my experience might be helpful to these incredible women. They are the ones who will change the cultural narrative and bring America together. Their fierce intelligence and strong encouragement will cause them to move right past the men in power, too busy posturing with other men to notice the women passing them by. I want these women to understand just how powerful they are. I want to see them fight for their rightful place leading Christ’s church. I want to see them fully own their extraordinary ability to soar beyond the macho males with whom they work. I want to see them empowered as I was empowered. I know they will handle power better than I ever did, because they are more balanced than I ever was. There is hope for Christ’s church. Change is coming. I saw it this week. Change is coming, and these women are the ones who will bring it about. Thank you, Paula, for your wisdom and humility, and for your willingness to see things with fresh eyes. Thank you for your courage to speak the truth as you have experienced it. What you have said here reminds me of a book I read recently, written by a white, male diversity trainer who works with white, male CE’Os, helping them to understand diversity and lead in ways that are more inclusive and respectful of all their employees. When reading the summary of the recommendations this guru was sharing with these CEOs I remember thinking…. My goodness! Without saying it, he’s telling them to lead as women lead! There’s nothing new here… simply what we have known and have been doing all this time!” And it was very much the sort of things you observed in these women’s keynote addresses… leading by example, by showing, and in a collaborative manner, etc. This is so true Linda, so true. Best explanation for why the Christ incarnated as male that I’ve ever heard.